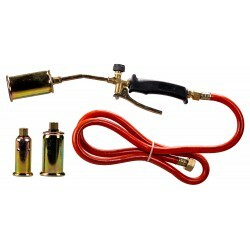 Blow torch for do-it-yourself, Blow torch for butane and propane gas, spare parts for welding, Kit welding torch for L.P.G., and electric welding. Welding There are 26 products. DIY Welder with traditional ignition. Blow torch with traditional ignition. It is equipped with a gas pre-heating system in order to weld in up-side-down position. Power 1,76 Kw. Ignition: Traditional Nominal consumption: 127 g/h Autonomy: Min. 3h Max.6h Weight: 410 g Feeding: Our universal 190 grs. piercing cartridge reference 1120. 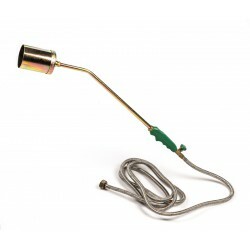 Blow torch with piezo electric ignition. 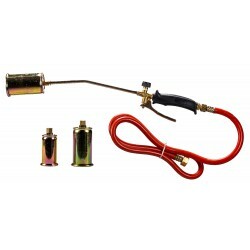 Blow torch with piezo electric ignition. 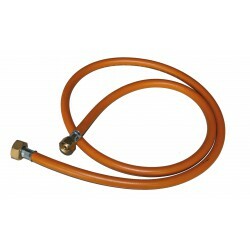 It is equipped with a gas pre-heating system in order to weld in up-side-down position. Power 1,76 Kw. Ignition: Electric Nominal consumption: 127 g/h Autonomy: Min. 3h Max.6h Weight: 410 g Feeding: Our universal 190 grs. piercing cartridge reference 1120. Blow torch with traditional ignition. Blow torch with traditional ignition. Power 2200 Kcal/h Ignition: Traditional Nominal consumption: 120 g/h Autonomy: Min. 2h Max.4h Feeding: Our universal 190 grs. piercing cartridge reference 1120. 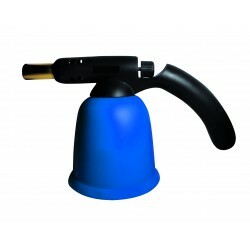 Welding Kit including: Welder 1.5 m gas tube Tap adaptable to popular bottle (blue or red) Nozzle Ø 20 mm. Power 3600 kcal/h. 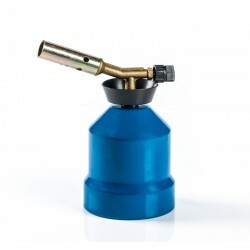 Welding Kit including: Welder 1.5 m gas tube Tap adaptable to popular bottle (blue or red) Nozzle Ø 30 mm. Power 7200 kcal/h. 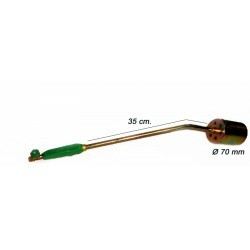 Soldering iron for welding and heating. 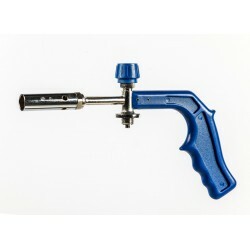 Soldering iron for welding and heating.Includes medium flame nozzle Ø 20 mmPower of 3600 kcal / h. Consumption 0,700 Kg./hEquipped with a tap adapted to popular blue bottle.Conventional ignition.Compact handle very robust.Ideal for professional use. 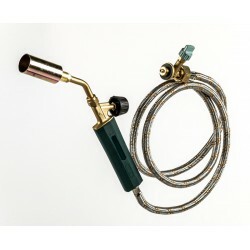 Welding torch consisting of:Hose 3 meters.Nozzle Ø 70 mm.Power 47.300 Kcal /h. 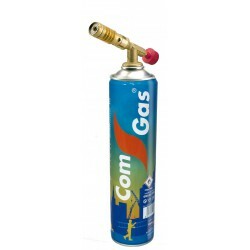 Butane 63.340 Kcal/h Propane Comsumption 3,6 Kg/h (art. 240 229 + art. 240 146)Presented in case flyable. Adaptable handle to set chamuscador 240157.